On the hunt for a trendy, new spot to catch-up and unwind with friends? Wino Wolf Sports Bar & Cafe is the spot for you! Located in Phase 3, Mohali, Wino Wolf Sports Bar & Cafe offers a range of North Indian, Chinese and fast food dishes to feast on as you unwind over some drinks with your friends. 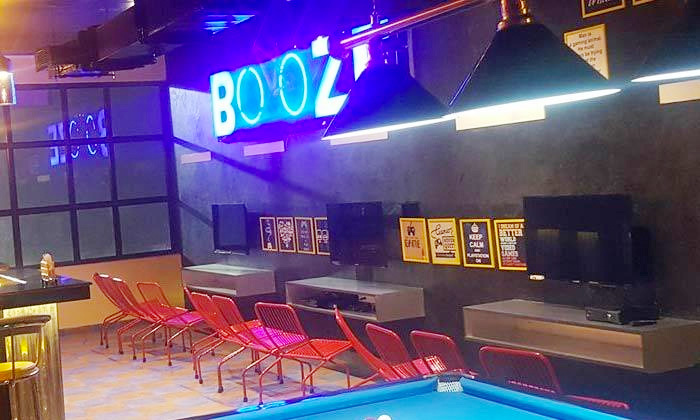 Those looking for something a little more entertaining can engage in some friendly competition with a game of pool, try their many board games or even enjoy their live sports screenings. All this combined with the colorful ambiance and contemporary setting makes Wino Wolf Sports Bar & Cafe a popular spot to head to.